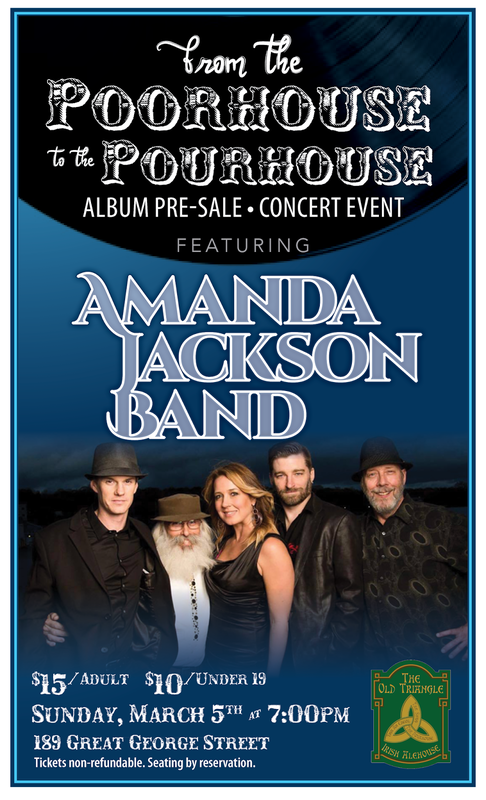 Amanda Jackson Band: Advance Tickets for March 5th Now Available! Advance Tickets for March 5th Now Available! We've been busy the past couple of months working hard on our first studio album and we're getting so close to being able to share it with you. As we've been busy behind the scenes, we realized how much we are missing the stage and have decided that we can't wait until our next scheduled show in May to see you all! We contacted the fantastic folks at The Old Triangle and booked a nice early evening show in The Pourhouse on Sunday, March 5th and hope that you'll come join us! We're honoured and thankful to have the wonderful Chris Roumbanis providing top notch equipment for the evening and ensuring we sound our best! 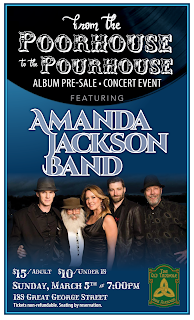 This show will also help us with some fundraising for the last leg of the production of the album and we're thrilled to offer the brand new album for pre-order for a one night only price of $10.00! We are anticipating that the album will be out late Spring/early Summer and are so excited for you to hear it! Tickets for the show are $15.00 cash per adult or $10 per youth (under 19 and accompanied by an adult until 10pm), available at The Old Triangle and seating is available by reservation at 902-892-5200. Doors open at 5:30pm and food and drink service will be available!